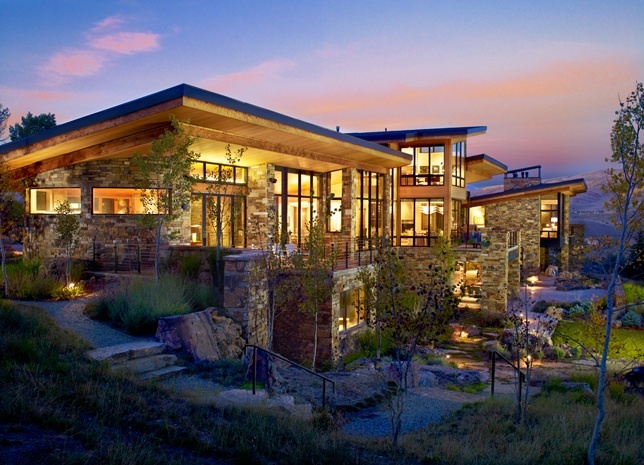 Buyers' paradise can be found in Lake Creek Valley, one of the most scenic valleys in all of the Vail Valley. Paradise can be found in any of the current 21 homes on the market. Prices range from just under one million dollars to a whopping &17,500,000. 0804 Eagle Crest is the featured home of this blog boasting Lake Creek Valley views beyond compare. Priced at $1, 600,000. For more information on this home or any of the valley's homes, see my contact information. 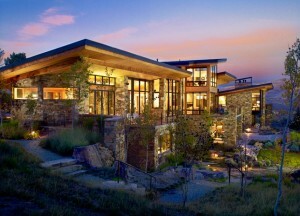 Private and luxurious, Lake Creek Valley is mountain living at its Best. The lush valley features dramatic views of the New York Sawatch Mountain Ranges, meandering creeks, thriving forests with hiking and biking trails. Lake Creek Valley is the most picturesque setting of the entire Vail Valley. 1705 Lake Creek Road is a beautiful 4 bedroom home with 4,912 square feet, situated on 5 acres. A one of a kind location, offering fishing in your back yard and approximately 500 feet of lake creek. Enjoy the wonderful sunrises and sunsets and the sounds of nature. The property features 2 pastures with a riding arena. You may keep up to two horses on the property. Minutes to Edwards and everything Vail has to offer. This property is being offered in its entirety or undivided interest in 5 acres with the opportunity to build a 1/2 duplex. This is a rare opportunity to build your dream home in on Lake Creek. Private and luxurious, Lake Creek Valley is an extremely desirable place to call home. The lush valley features dramatic views of the snow-capped New York and Sawatch Mountain Ranges, meandering creeks, waves of aspen and pine groves, green meadows and countless hiking and biking trails. Arguably the most picturesque setting in the Vail Valley, its private and remote setting is only minutes to downtown Edwards and a drive away from Beaver Creek Resort. Tomorrow, June 19th, come explore this picturesque setting for yourself featuring two of Lake Creek's premier property and homesites: 34 Whiskey Ridge and Cattlemans Club lots 2 & 3. Breathtaking five bedroom, 12,251sqft modern mountain estate, 34 Whiskey Ridge, reduced $2.75 million today. This spectacular home is set on 4.54 acres in the highly coveted Cattleman's Club in Lake Creek--just 10 minutes from the World Class Beaver Creek ski resort. Enjoy sleek, modern finishes and features including 10 separate disappearing walls of glass, state of the art appliances and separate guest house. Private master suite boasts a glass bridge entrance over a waterfall, yoga sanctuary, and breathtaking spa bathroom with deck and double-sided fireplace. Lake Creek is private and luxurious and an extremely desirable place to call home. 875 Pilgrim Drive is the grandeur of Vail located in the exclusive gated community of Pilgrim Downs. This mountain retreat sits on approximately 15 acres nestled against the mountain. Boasting 10 bedroom suites, this home is decorated with European flavor. The master suite is a place of refuge and the large outdoor living spaces and majestic views make this home well suited for entertaining in any season. Rising from the celebrated Lake Creek Valley, just minutes outside Vail and Beaver Creek, this 12.521 square foot estate graces 4.5 exquisite, private acres. Designed to showcase the dramatic surroundings, this unique masterpiece features ten individual walls of glass that disappear and create a seamlessly integrated indoor/ outdoor oasis.